MASTEAM Talk: "5GBarcelona: A strategic partnership to transform Barcelona into a 5G Digital Innovation Hub" from Dr. Sergi Figuerola (i2CAT Fundation). December 19th, 17:30h (duration 1h). Classroom C4-001 (Main Hall), EETAC, Campus Castelldefels UPC. Speaker: Dr. Sergi Figuerola (i2CAT Foundation). Title: "5GBarcelona: A strategic partnership to transform Barcelona into a 5G Digital Innovation Hub". Abstract: 5GBarcelona is a public-private initiative working to transform the metropolitan area of Barcelona into an open and neutral city-wide lab for the validation and adoption of 5G technologies and applications in a real-life environment. The initiative creates synergies within the ecosystem and offers an experimental infrastructure to test, prototype and implement new digital solutions in the city. 5GBarcelona wants to stimulate the existing innovation in Barcelona, help to attract foreign investment, boost tech start-ups and generate an entire industry around 5G technology. The initiative is powered by the Regional Government of Catalonia, Barcelona City Hall, Mobile World Capital Barcelona, i2CAT, CTTC, Atos and the UPC. 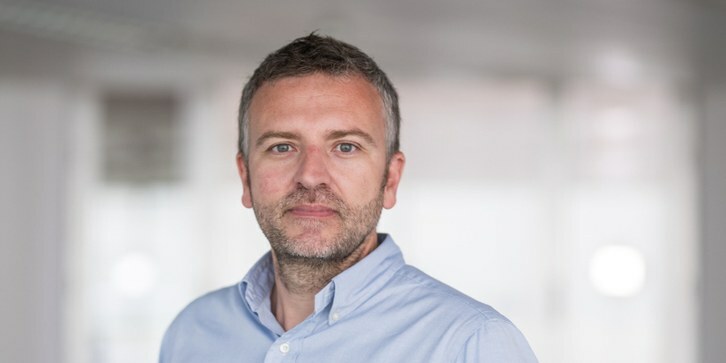 Bio: Dr. Sergi Figuerola is the Chief Technology and Innovation Officer at i2CAT since May 2013, Founding member of 5GBarcelona and Coordinator of the EC 5G PPP 5GCity project. He is MSc and PhD in Telecommunication Engineering by the UPC and Masters in Project Management from La Salle (URL). He joined i2CAT in 2004 as Network Technologies Area Coordinator, becoming Director of the Distributed Applications and Networks Area on 2010. From 2001 to 2004 he worked as researcher within the optical communications group of the UPC. At i2CAT he is in charge of the KVB G3 (Knowledge, Value and Business Generation) defining the strategy of the different Technology Research Areas, the Innovation Business Development and Tech. Transfer and product Marketing. For the last 14 years he has acted as Project Coordinator, Technical Manager and work package leader in several EC research projects. His main research interests are related to 5G, new architectures, Future Internet and Open Innovation. He has participated in more than 50 IEEE papers. Where: Classroom C4-001 (Main Hall), EETAC, Campus Castelldefels UPC. How to arrive.